Learn basic phrases from different languages easily by following our daily lesson plans. For best results, do the lessons with a friend! NOTE: Built-in lesson plans currently available in English (US), Mandarin Chinese, Spanish (Spain), French, Japanese, Korean, German, Italian, Hindi, Portuguese (Brazil), Thai and Arabic. Challenge yourself by taking language exercises created by native and fluent speakers in an open social setting. Need help with pronunciation, grammar or anything else? 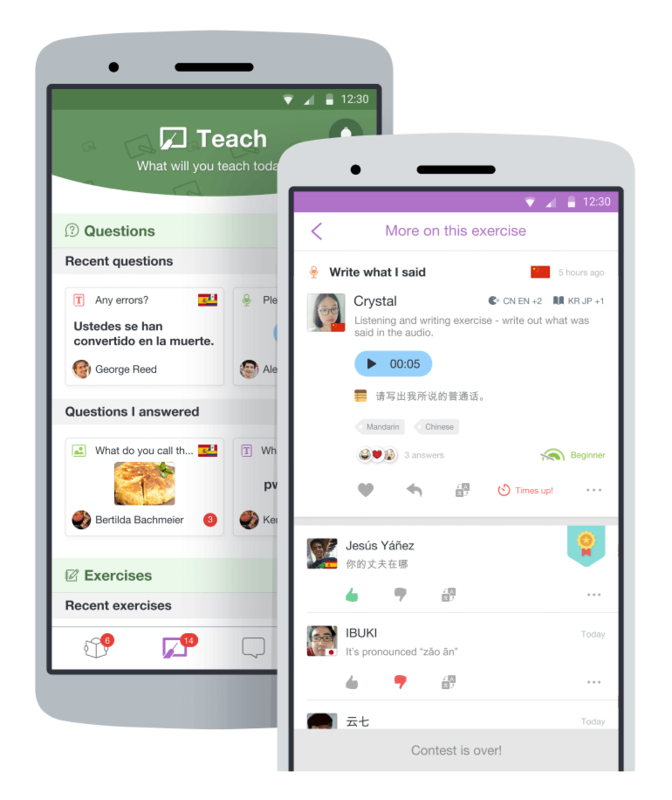 Post questions with your audio recordings, pictures and/or text and get answers from native and fluent speakers. Help someone out and win a new friend! mentoring learners as they do their lesson courses. creating language exercises for learners and giving them feedback. 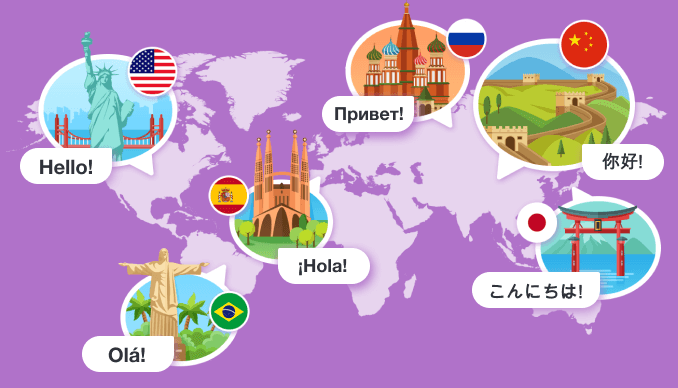 With over 3 million members from virtually every country in the world, you can meet and interact with new learning buddies from anywhere at any time! Use Language Pal’s built-in messaging system to chat through text or voice and video calls in real time. 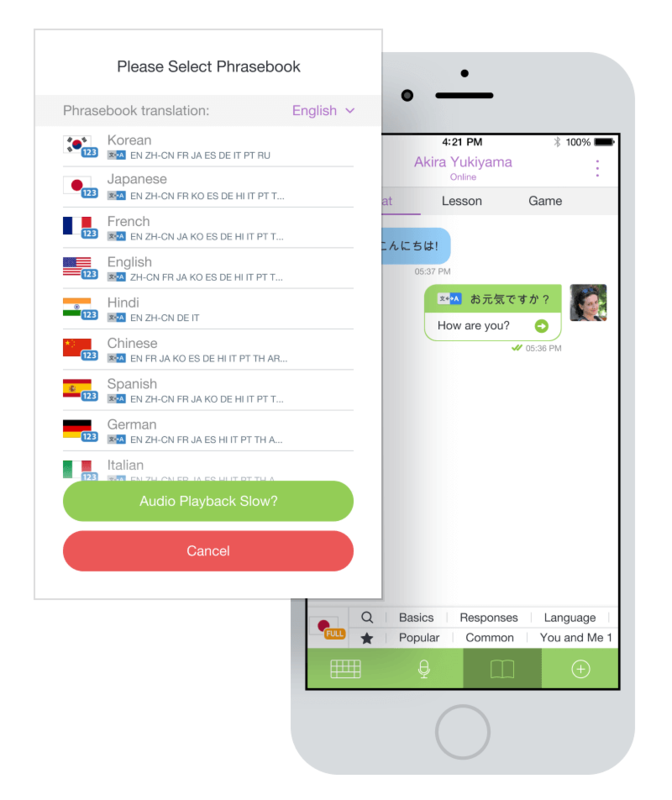 With built-in language phrasebooks, you’ll be speaking a new language literally within minutes! Use automatic translation tools while chatting or when viewing and replying to language exercises and questions. NOTE: Built-in phrasebooks currently available in: English (US), Mandarin Chinese, Spanish (Spain), French, Japanese, Korean, German, Italian, Hindi, Portuguese (Brazil), Thai and Arabic.